wilbureditions, 2014. 40 pp., 14 color illustrations, 11¼x11½". 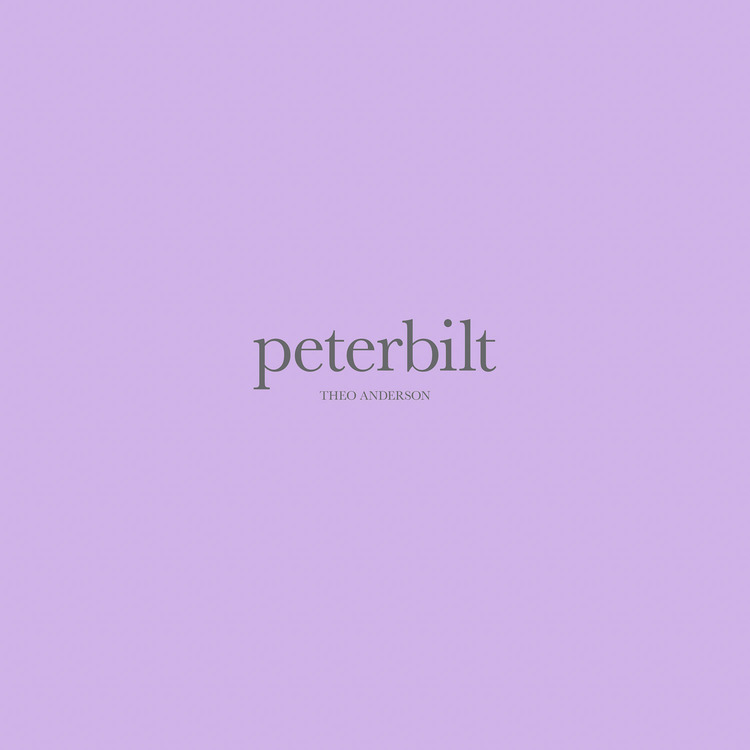 PETERBILT is the tenth in a series of artist books by Theo Anderson, based on the episodes of his ongoing work, CADILLAC. 'The photographs are not so much about place as they are about transformation. The context of everyday American life is used in my visual exploration. The search began in the early twenty-first century and is expressed in a myriad of episodes that inform my life,' says Anderson. The minimalist design welcomes the viewer to experience the exquisite photographs printed by the artist, using the same materials as his editioned prints. 'Bypassing traditional book printing allows me to express my work without compromise,' says Anderson. 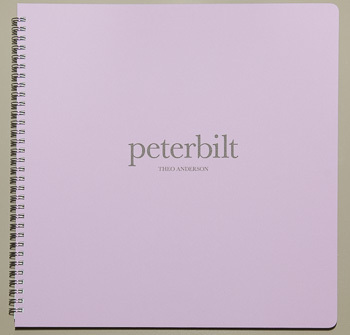 Edition one, designed, printed and bound by Anderson, is limited to twenty signed and numbered copies. View other limited editions in the series by Theo Anderson.